SGT Gavin Henderson Trio blend traditional Celtic music from Ireland, Scotland, England and Wales with modern rock/pop songs. 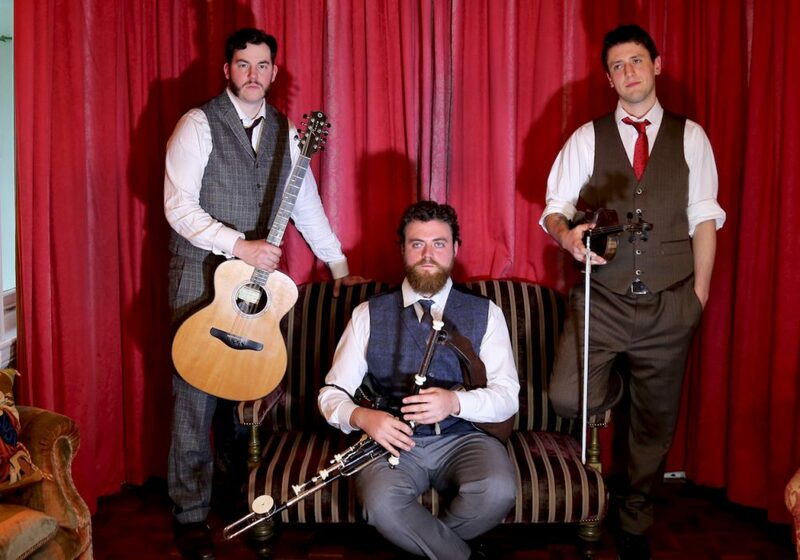 Their energetic sets sprinkled with jigs and reels guarantee to thrill. I can only say that these lads make music that is ear candy for the gods! This trio of likeminded musicians formed in early 2017, and have already made their mark with their upcoming group. 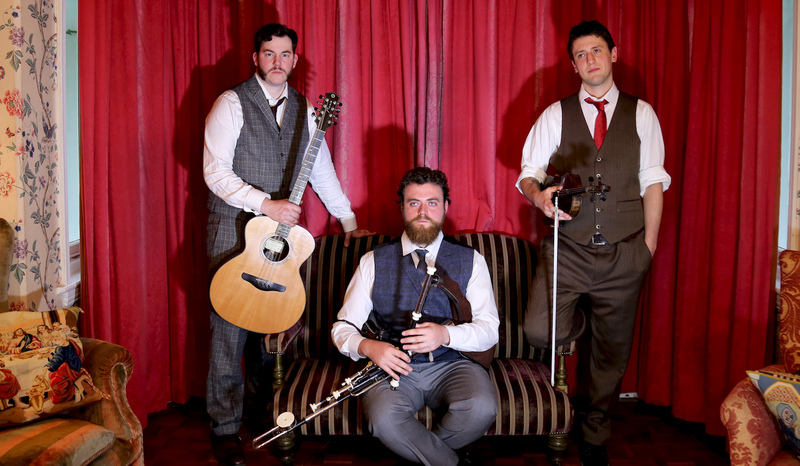 Coming from projects of their own (TEYR, Crossharbour, Céilí Max), Tad Sargent, James Gavin and Dominic Henderson blend their intrigue with new sounds with the old styles of the music they grew up with. Born in London, Tad, James and Dominic having grown up playing on the session circuit as accomplished musicians in their own right, and also having taught extensively in their fields, now turn their heads towards hitting stages at events around the country with a new, exciting, and vibrant sound. Their music has been described as “Ear Candy For The Gods” by Bill Barclay (Director Music at Shakespeare’s Globe Theatre, and Guardian Columnist). 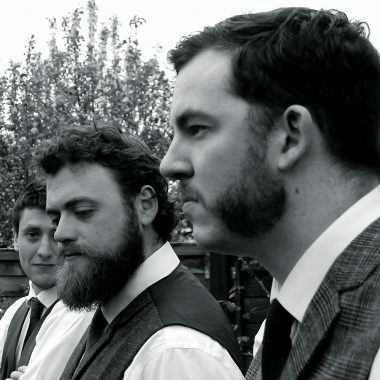 Between them, the lads have played at venues ranging from the Royal Albert Hall, The Union Chapel, and Shakespeare’s Globe Theatre right through to Glastonbury Festival, Cambridge Folk Festival, and many tours of Europe and The USA. 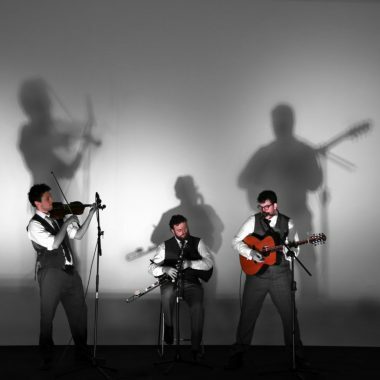 SGH Trio blend traditional Celtic music from Ireland, Scotland, England, and Wales with modern rock/pop songs. Their standard gig is x2 50 minute sets. The audience and clients should expect a performance mixed with Jigs and Reels at a fast and lively pace (instrumental). In-between those instrumental sets Songs will be placed. Learning a Song for a client: For each gig SGH Trio are booked for they will learn (if asked) one song at no charge to the client. There is of course no guarantee the song will work with their style of music, but they will certainly give it a go. We also play our own compositions in instrumental sets as well.